While Fox News spent the day falsely claiming that a Moroccan Muslim was responsible for killing six worshippers after evening prayers at a mosque in Quebec City, and White House Spokesman Sean Spicer latched on to that lie to justify the Trump administration’s Muslim ban, the real suspect was identified by Canadian police as a white rabid anti-immigration nationalist. 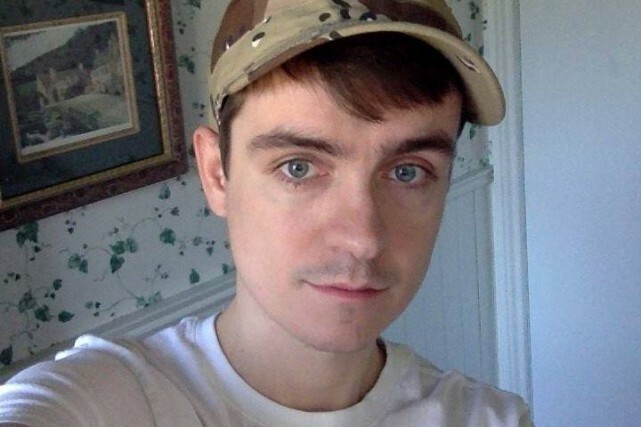 Alexandre Bissonnette, a 27-year-old French Canadian (his picture is above), is the sole suspect in the Sunday shooting rampage. According to his Facebook profile, now deleted, he is a fan of right-wing French politician Marine Le Pen and of our own President Donald Trump. I bring this up because it is a Canadian riff on a consistent pattern that I have written about repeatedly in this space (like here, and here, and here). The vast majority of terrorism in the United States in the years since 9/11 has been carried out by right-wing political extremists targeting racial, religious, or sexual minorities, law enforcement officers, and other public officials. In the United States the typical face of terrorism belongs to an angry white man. Looks like that’s the case north of the border too.